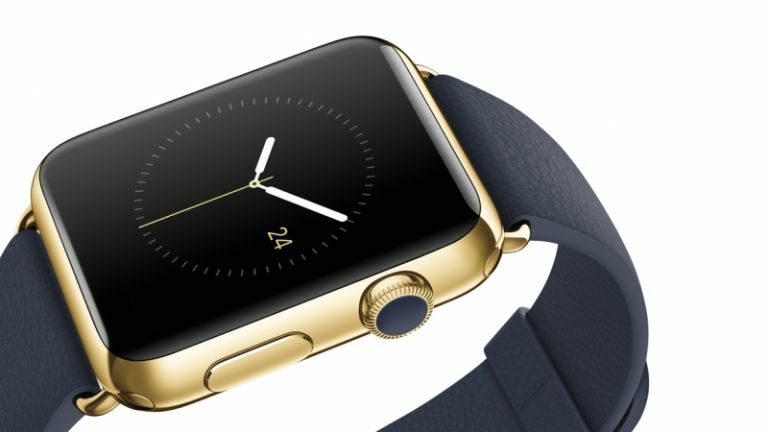 Apple has confirmed just how much its Watch will set you back. And your price range starts at "premium" and ends at "holy crap." If you're a high net worth individual or international jewel thief, you may be able to get yourself the 18ct solid gold Apple Watch Edition. Available in rose or yellow gold alloy, this exclusive, limited edition Watch starts at £8,000 and maxes out at £13,500. It'll only be on sale at selected retail outlets. Elizabeth Duke at Argos? Probably not, but one place you will be able to go if you want to check out the Watch Edition is Selfridges in London. Head there from April 10 and have a look. Further down the expensiveness ladder, there's the "entry-level" Apple Watch Sport, which comes with an aluminium body in either silver or space grey and a rubber strap. That's £299 for the 38mm model and £339 for the larger 42mm version. If you don't want to be laughed out the country club you'll at least want the Apple Watch Collection strapped to your wrist, with its fancy stainless steel frame and choice of bands from sporty rubber or leather to stainless steel link or tiny Milanese coils. How much for this extra glam? Well it starts at £479 for the 38mm Watch Collection with a sport band, but depending on the type of strap and body size you select, the price can rocket up to £949. The good news is, you can use its Apple Pay app to order yourself a stiff drink to calm your nerves afterwards, assuming Apple brings Pay to the UK in time.